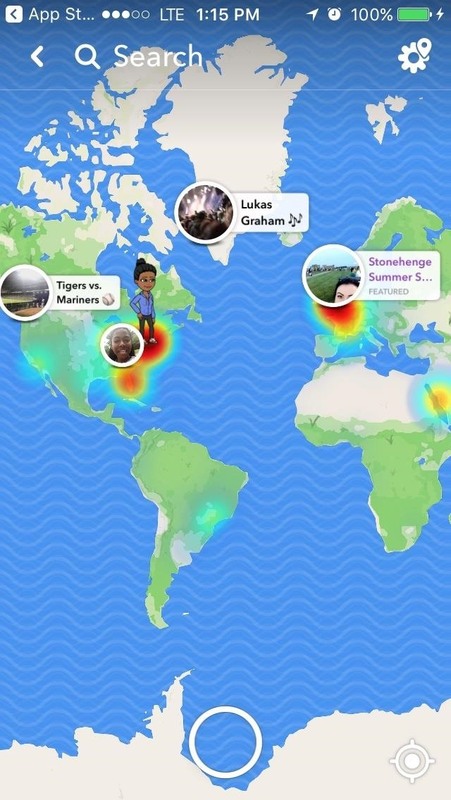 Snapchat's newest feature will allow you to see where your friends are posting from around the world. Called Snap Map, this easy-to-use update gives users the ability to view your friends' stories and locations on a map. Snap Map works by recording your location when you open up the app and placing your avatar or profile picture in that location. If you have a Bitmoji, now's the time to give it a makeover so you're not embarrassed when it pops up on the map for all of your friends to see. To access Snap Map, you have to pinch your screen with two fingers while in the default camera view. From here, you'll be shown a map of the world, displaying Snap stories in large circles with accompanying location descriptions. Yes, my Bitmoji is wearing sweats. I keep it real. Certain areas on the map display red circles, indicating that they're hot spots — or locations with a lot of activity. If you zoom in on a hot spot — or any spot for that matter, you can see all of the stories posted in that region. This hot spot in Florida features stories from local events and amusement parks. 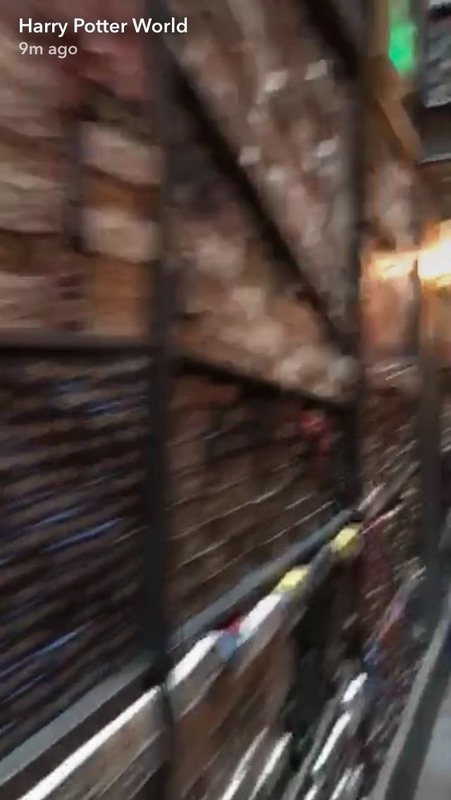 To watch a story, just tap on the corresponding circle. It should load fairly quickly and allow you to skip through, screenshot, and send messages as you would with regular stories. The Snap Map also shares more than just you friends' stories. 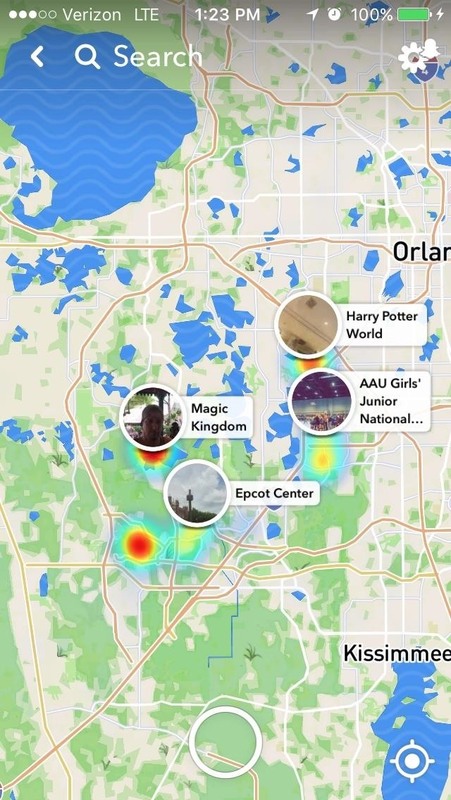 You can see where all of the stories included in Snapchat's Our Story compilations were sent from. This is only displayed for 24 hours, but it could allow you to locate popular events in real-time. One important note is that stories may be removed from the map before the end of their full 24-hour lifetimes. 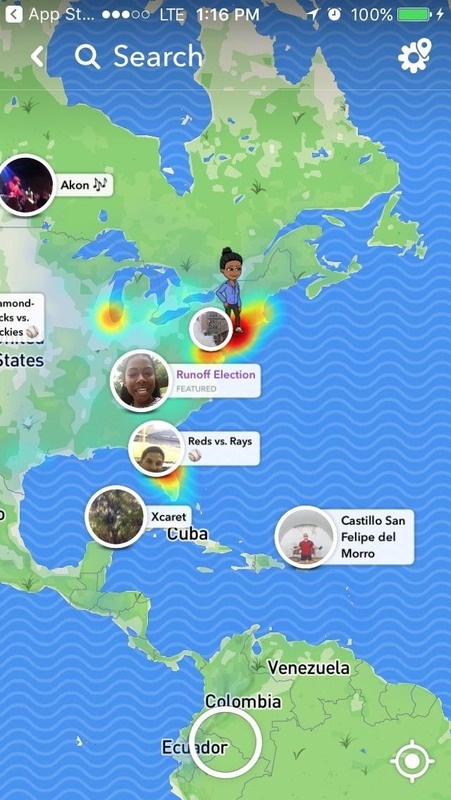 If a user doesn't open up Snapchat for a few hours, their avatar will be removed from the map. However, inactivity will not remove your story from the Recent Updates list. If you're concerned about potential safety issues that could arise as a result of this new location-sharing feature, there's a way to opt out. You can choose to enter Ghost Mode so that your location is only visible to you. Additionally, Snap Map — even when enabled — won't allow Snapchat to track your location when the app isn't open, so no data will be collected without your knowledge. This update seems like Snapchat's attempt at competing with Facebook's new Live Location feature, which lets you share your location in a direct or group message. Like Snap Map, Live Location shows where you are on a map and only displays your location temporarily — specifically, for an hour. However, Live Location does track your location even when the Messenger app isn't open, so Snap Map is more secure and less battery-draining.